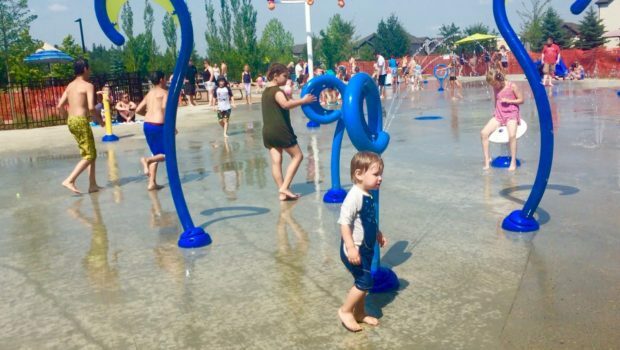 Jubilee Park Spray Park in Spruce Grove is now open, and it’s definitely one place that you want to take the kids to cool off this summer. The Spray Park features more than 50 interactive and integrated play features throughout which includes a toddler zone for kids 5 and under, a passive family zone for kid 5+ and an active family zone. One of my favourite features of the Spray Park is that there is a fence all around with just one entrance, making it just that much easier to supervise younger kids while letting them explore the awesome water features! Other features include outdoor showers, change rooms, as well as wet and dry bathrooms to use. Close to the entrance, there are several picnic tables (in shade) and around the Spray Park, there is room for you to set up blankets and chairs. Open Monday-Sunday, 10 am – 8pm (during the summer months) you can find Jubilee Park Spray Park at 510 Grove Drive. For more details check out their website. 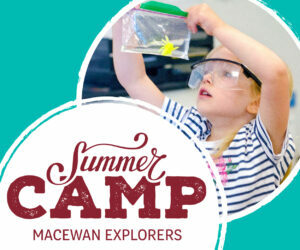 Want suggestions for things to do with the kids every week during the summer? Sign up for my weekly email that comes out every Sunday!